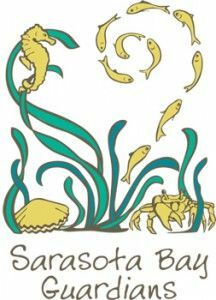 SARASOTA – The Sarasota Bay Estuary Program’s Bay Guardians will visit North Water Tower Park on Saturday, October 19 to remove the invasive Air Potato Vine. Project partners include City of Sarasota (including their Urban Design planning team and the Police Department), Around the Bend Nature Tours, North Trail Redevelopment Partnership, Sarasota Sky Pilots Disc Golf Club, and Bayou Oaks Neighborhood Association. Removing the invasive air potato vine will support the vitality of native vegetation. Prizes will be given for the biggest and smallest air potato seed collected. More than 140 Bay Guardian volunteers have completed three projects thus far in 2013. They included outings to Jiggs Landing and Perico Preserve in Manatee County and Bay Walk Creek near New College of Florida. Online registration is required for all Bay Guardian volunteer projects. The Bay Guardians are a family-friendly volunteer program managed by SBEP in partnership with Around the Bend Nature Tours. New volunteers receive a blue tee shirt featuring the Bay Guardians logo. Each outing features environmental education and a picnic lunch. Join the Bay Guardians for a single project or as an ongoing commitment. Local school, scout and church groups interested in volunteering should contact Stephanie Hames.